Officials described the maneuvering on condition of anonymity, saying they were not authorized to discuss private conversations. Judicial nominations have become intensely political in recent years as presidents seek approval for nominees who frequently spark opposition from outside interest groups aligned with the opposing party as well as from senators themselves. Democrats filibustered several of President George W. Bush's conservative nominees, refusing to allow a vote on some for years. The logjam was broken in the spring of 2005 in a compromise that allowed some to be confirmed while a smaller number were jettisoned. More recently, Democrats have accused Republicans of delaying confirmation of even non-controversial nominees advanced by Obama by refusing to permit them to come to a vote without a time-consuming process than can take three days on the Senate floor. In remarks over the weekend, Sen. Patrick Leahy, D-Vt., chairman of the Senate Judiciary Committee, said 49 circuit and district court nominations made by Obama had been approved so far, "less than half the number confirmed during the first Congress of the Bush administration." Before the action this weekend, Leahy said some 30 Obama judicial nominees, including seven to fill appeals court vacancies, were awaiting Senate confirmation. "A majority of the nominations pending on the Senate's calendar received unanimous support from the Senate Judiciary Committee, and 17 of the nominations are to fill seats designated as judicial emergencies by the nonpartisan Administrative Office of the U.S. Courts," Leahy added. The Senate also has confirmed both of Obama's nominees to the Supreme Court, Sonia Sotomayor and Elena Kagan. In addition to the 10 nominees confirmed since Thursday, the Senate is expected to approve at least nine more before lawmakers adjourn for the year. All have been pending in the Senate since Sept. 23 or before. Another 15 have been awaiting a vote for less than a month. The unconfirmed nominations will expire when Congress adjourns for the year. Obama is free to reappoint them, but Republicans will have more seats in the Senate in 2011, and there is no assurance the most controversial among them would be approved quickly, if at all. Apart from Liu, they include Edward Chen, Louis B. Butler Jr. and John J. McConnell, Jr., all nominated to become U.S. District Court judges. 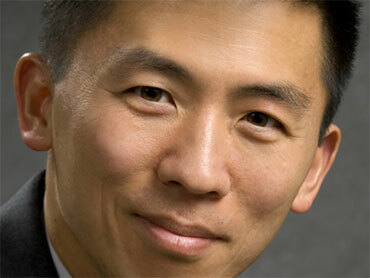 Liu is a dean at the University of California law school at Berkeley and the best-known of the four. Supporters and critics alike speak of him as a potential future selection for the Supreme Court by a Democratic president. He also could be the first Supreme Court nominee of Asian-American descent. Republicans have attacked his nomination from the first. At his committee confirmation hearing, Sessions Sen. Jon Kyl, R-Ariz., noted Liu's criticism when Samuel Alito was nominated to the Supreme Court by Bush. At the time, Liu said Alito's vision was an America "where police may shoot and kill an unarmed boy ... where federal agents may point guns at ordinary citizens during a raid, even after no sign of resistance ... where the FBI may install a camera where you sleep ... where a black man may be sentenced to death by an all-white jury for killing a white man, absent ... analysis showing discrimination." Kyl called those comments "vicious and emotionally and racially charged." Liu said he used "unnecessarily colorful language" and added, "I have the highest regard for Justice Alito's career." He said those remarks followed a 14-page analysis of Alito's rulings. Sen. Lindsey Graham of South Carolina, a Republican who supported Obama's nomination of Sonia Sotomayor to the Supreme Court, called Liu, "a bridge too far for me. He should take those views and run for office."